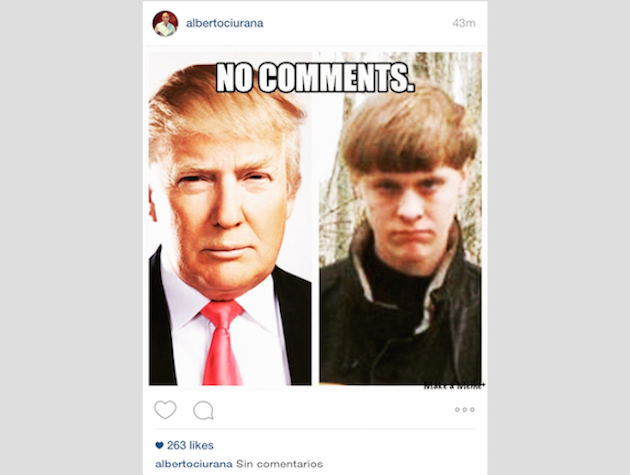 Alberto Ciurana, Univision's president of programming and content, made a post on his official Instagram account last week that appeared to indicate that there were similarities between Trump and Roof, who last week killed nine people in a shooting at a church in Charleston, S.C. The since-deleted Instagram post received hundreds of likes from Ciurana's 116,000 followers on the site. It also received backlash. "With all due respect, what happened last night is not a joke," commented Patty Rodriguez, senior producer of radio show On Air with Ryan Seacrest. "This is very irresponsible of you." Michael Cohen, special counsel to Trump, called Ciurana's post "totally insensitive" and said that Ciurana should resign. "There are no words to describe Alberto Ciurana's despicable and horrific decision to place Mr. Trump beside this racist murderer," said Cohen. "It was a totally insensitive act and I would call for his immediate resignation from Univision." A spokesman for Univision did not respond to an inquiry asking whether the network agrees with the comparison. Univision announced Thursday it would be cutting ties with the Miss Universe Organization because it is partially owned by Trump. Ciurana posted the reasoning for the network’s decision, using his Twitter account to say Trump’s comments on Mexican immigrants were the cause for the decision. Univision stated in its announcement that it "will continue to provide comprehensive coverage of all candidates, including Mr. Trump, to ensure our audience continues to have access to all points of view." The comparison by a top Univision executive of a murderer to Trump, who currently is polling second among Republicans candidates in key primary state New Hampshire, brings back questions as to whether the network will be a proper host for a Republican debate. "I do not feel that Ciurana or his network should be entitled to host any political debate," said Cohen. Earlier this year, Republican National Committee chairman Reince Preibus said, "It’s highly questionable whether we’re treated fairly on Univision." Univision was not selected as a host for an official primary debate because it did not submit an application like other networks did, according to the RNC. 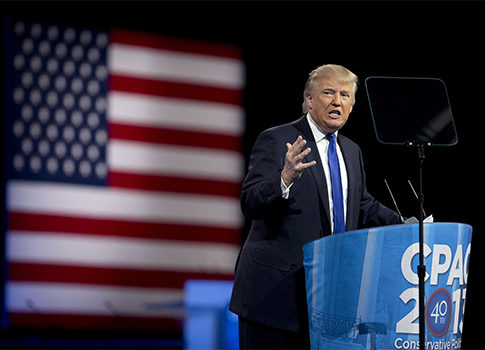 Univision announced on Wednesday that it would be co-hosting a "Republican presidential candidates’ forum" with the Washington Post ahead of primaries in March 2016. The debate is not sanctioned by the RNC and is not governed by its rules, though a spokesperson for the RNC told BuzzFeed that it is encouraging candidates to participate. "We encourage our candidates to engage with all voters and to share their vision for the future," said RNC director of Hispanic media Ruth Guerra. "We hope this forum complies with RNC rules." The Univision forum will not be the Republican candidates' only opportunity to debate on Spanish-language news. Telemundo will host a debate and all CNN debates will be simulcast on CNN Español. 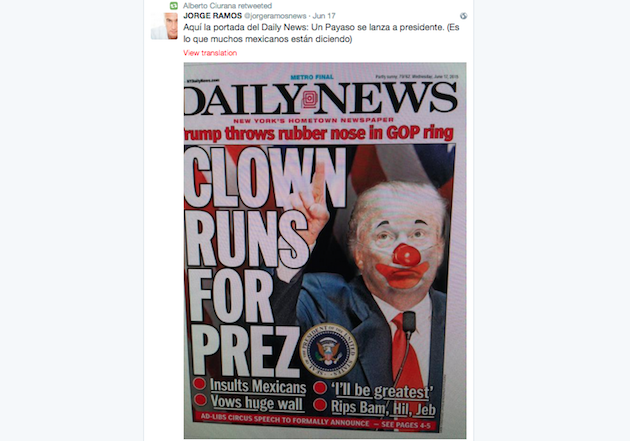 Ciurana also shared on Twitter a picture posted by Univision's Jorge Ramos that portrayed Trump as a clown.